Storm damage? Your commercial building in need of roof repair? 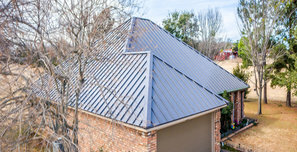 Armadillo Roofing has the experience and expertise to repair any type of damage or repair that your property may need. If you're planning a new commercial project, or replacing the roof on your existing building, Armadillo Roofing can handle any type of commercial roofing system. 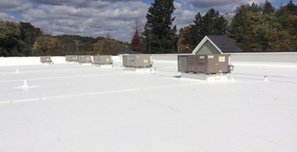 Need an ongoing maintenance program to keep your commercial building's roofing system intact and functioning as it was designed? 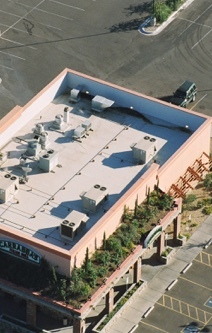 Ask us about our commercial roofing maintenance plans. 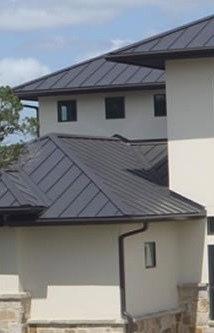 At Armadillo Roofing we have extensive experience in all types of residential roofing for new installation or replacement including shingle, metal, tile and flat systems. Welcome to Armadillo Roofing, based in Austin, Texas. Your first choice in Commercial Roofing Contractors. 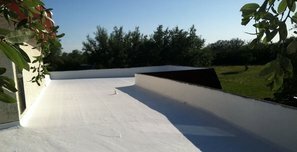 We can answer any questions you may have about commercial roofing services and we’ve been established in the Austin commercial roofing sector as one of the perennial leaders of quality roofing workmanship for over 15 years. Armadillo Roofing will always deliver on its promise to ensure the finest quality materials and craftsmanship, stressing integrity and rewarding excellence in our employees and staff. We are craftsmen who take pride in the commercial roofing services we provide to our customers in Austin, Texas and all its surrounding communities. Our commitment is to deliver “Quality Craftsmanship at an Affordable Price,” and we have been doing just that for well over a decade now. The secret to our success is complete dedication to great customer service and satisfaction, which is why we’ve consistently been given an A+ rating from the Better Business Bureau. You can rest easy knowing you’ve put your commercial roofing project or your personal property’s roof installation in the hands of a company you can trust to get the job done right, affordably and completed on time. We ensure that our prices are competitive for any type of commercial roofing estimates or residential roofing installation quotes. We are aware that customers want to balance cost with quality. We believe that by satisfying our customers with superior service we can expand our brand as an established leader in the Austin roofing industry. We partner with only top quality, world-class manufacturers and reputable companies to supply the materials needed for our projects, so you can rest assured that your property will be covered by the highest quality roofing system backed by the industries best warranties. When you choose us for your commercial roofing needs, you’ll have peace of mind knowing your roof is protected and guaranteed for quality. 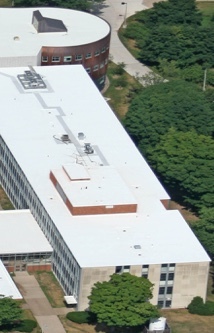 We also have the flexibility with our processes and crews to be open to customized commercial roofing services to meet your unique needs, using state-of-the-art commercial roofing materials to meet even the most particular tastes. 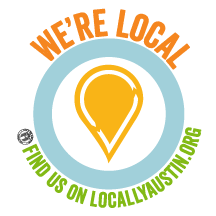 We cover the entire area from Georgetown to San Marcos and Lakeway to Bastrop, not just Austin. So, no matter where in the Austin area your property is located, a great Austin roofing contractor that can handle any kind of commercial roof repair or commercial roof installation is just a phone call away. We will make sure that all your questions are answered and you get every bit of information you need to make the best possible decision before moving forward with your project. Taking care of you with the same great care and attention to detail that has our customers consistently sending us new referrals and has made us one of the Austin area’s most trusted commercial roofing companies. Give us a call today at (512) 333-ROOF (7663) or shoot us an email with the contact form found on each page of our website for a free consultation and estimate. 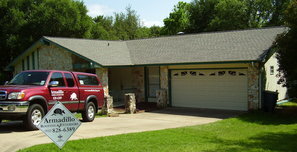 Put your roof in the hands of one of the Austin area’s most trusted and experienced roofing companies. 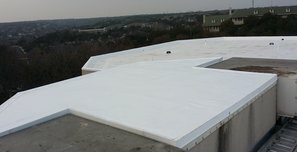 Need commercial roof repair? 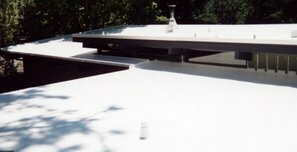 At Armadillo Roofing we offer customers affordable commercial roof repair options. Modified Bitumen, White Membrane, Metal or Green Roofing Systems, we can install the highest quality roof on your commercial building. We'll keep your Commercial Roofing System in top-notch condition with our Commercial Roofing Maintenance programs. Whether you want Shingles, Metal, Tile or a Flat Roof, we have the experience and expertise to install a quality, fully warranted roof on your home. 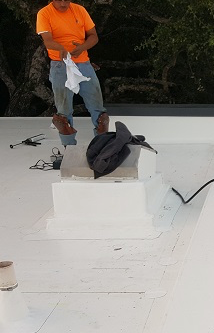 I'm proud to say no one can beat our quality and experience in commercial roof repair, commercial roof installation, metal roof restoration and residential roof installation services in Austin, Texas. Check out these recently completed commercial roofing and residential roofing projects. Whether you're looking for commercial roof installation, commercial roof repair, commercial roof maintenance or residential roof installation, we here at Armadillo Roofing have you covered. With Commercial Roofing we are experienced in Modified Bitumen, White Membrane, Metal, Tile, Shingle, Green and all Flat Roofing systems. With Residential Roofing we can help you install a quality, fully warranted Shingle, Flat, Metal or Tile roofing system on your home. See what some of our satisfied customers are saying! Here at Armadillo Roofing, nothing is more important than taking care of the most important asset we have - our satisfied customers. We take pride in the number of 5 star reviews you will find online that our customers have posted. We will always deliver on our promise to ensure the finest quality materials and craftsmanship, stressing integrity and rewarding excellence. We are craftsmen who take pride in the roofing services we provide to our customers, both commercial and residential. Our commitment is to deliver "Quality Craftsmanship at an Affordable Price," and we have been doing just that for well over a decade now in Austin and the surrounding areas.